In 2005 when I walked over the land that is now Downey Knolls and Elkton Plaza West, the views were spectacular and I envisioned a project that would make a perfect retirement community. Besides the spectacular panoramic views, it bordered Rt. 33, a four lane divided highway, with a stream at the back of the property, next to an established shopping center. When I discussed this with my partners, we made the decision to purchase this land. 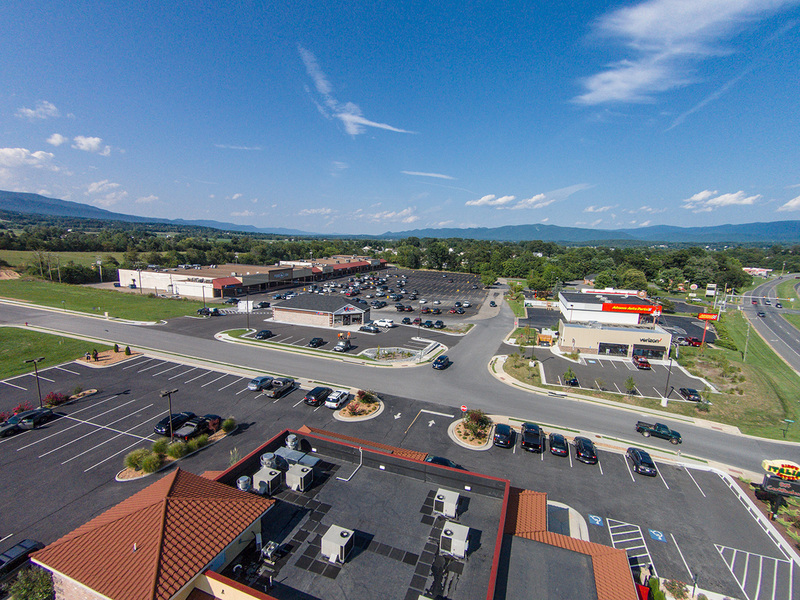 Our plan was to develop a senior community, Downey Knolls, a 55 and older community, which not only has access to an established shopping center, but will have access to a new business complex, Elkton Plaza West, fronting Rt. 33. 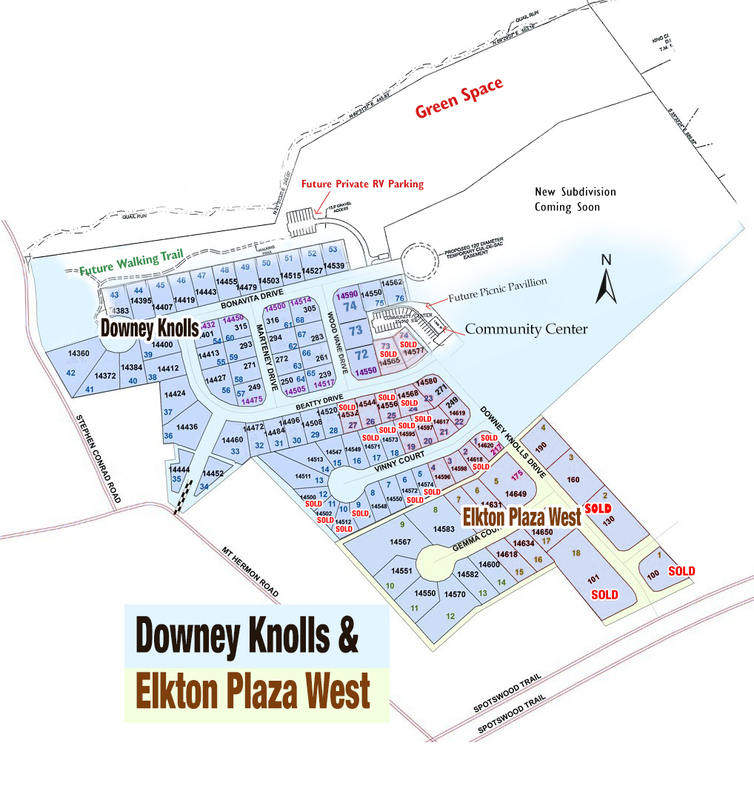 Downey Knolls will have a community center, a walking trail, picnic area and recreational vehicle parking at no cost for residents. 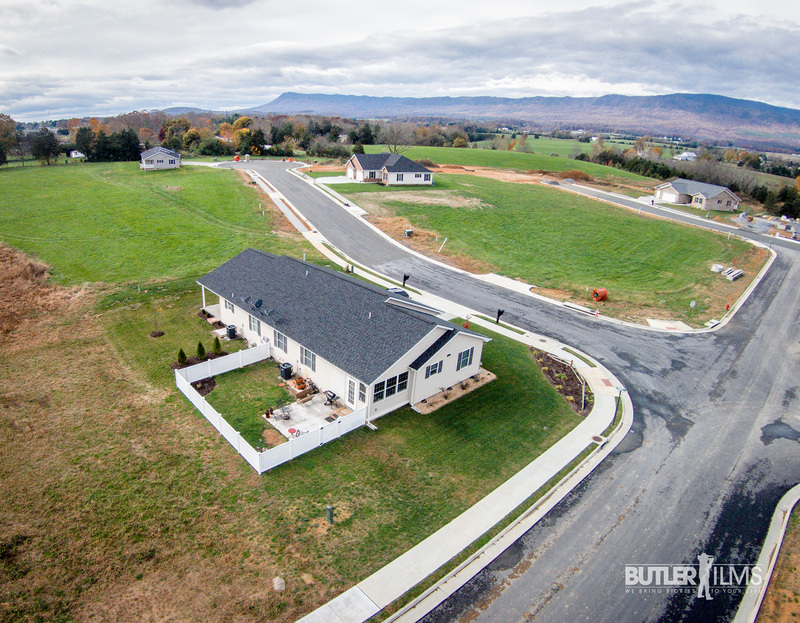 At this time this is the only 55 and older planned community in Rockingham County that offers these amenities. 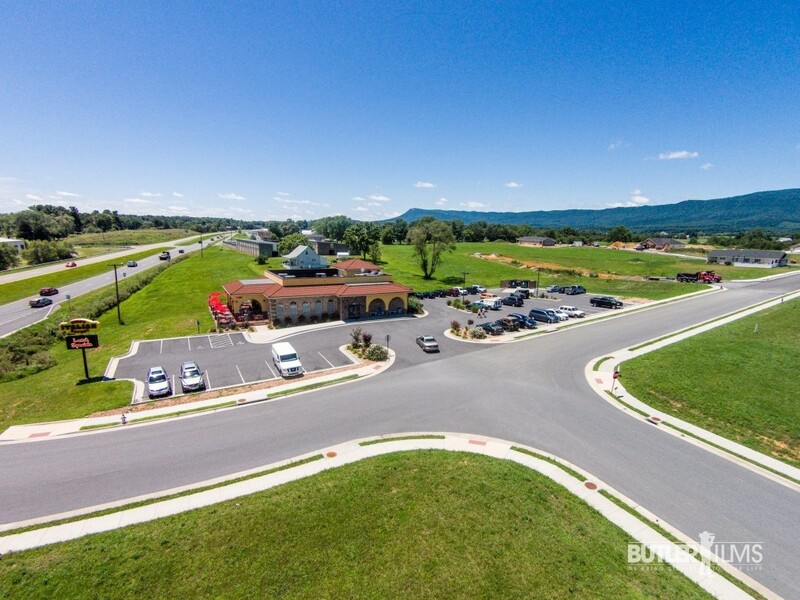 Downey Knolls and Elkton Plaza West are golf cart approved developments and is minutes from Skyline Drive, Shenandoah River, and Massanutten Ski Lodge. New home with fantastic mountain views in Downey Knolls, a premier 55 and older subdivision with sidewalks, street lights, clubhouse and more. 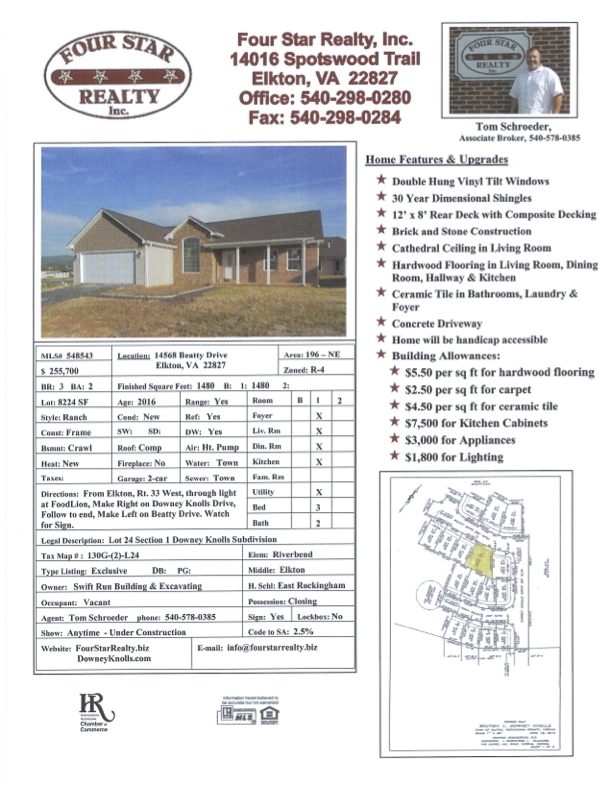 Click here to download a pdf of this listing. Like new! 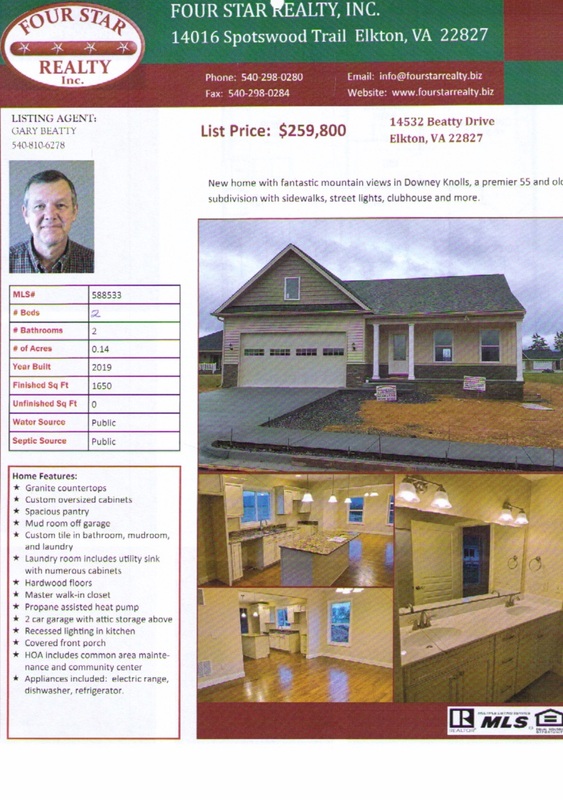 Great floor plan, recessed porch off of living room with great mountain views, 2-car garage, plus many, many more attractive features. New home with fantastic mountain views in Downey Knolls, a premier 55 and older subdivision with sidewalk, street lights, clubhouse and more. 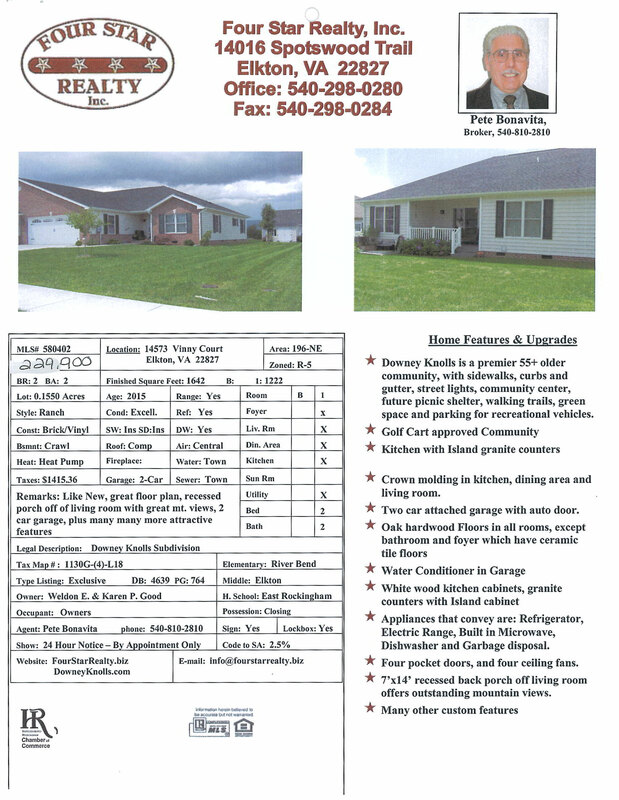 Click here to download a pdf of this listing. Lot 1, 5632 sq. ft. Lot 2, 4956 sq. ft. Lot 3, 5537 sq. ft. Lot 4, 5711 sq. ft. Lot 5, 5582 sq. ft. Lot 6, 5892 sq. ft. Lot 7, 5977 sq. ft. 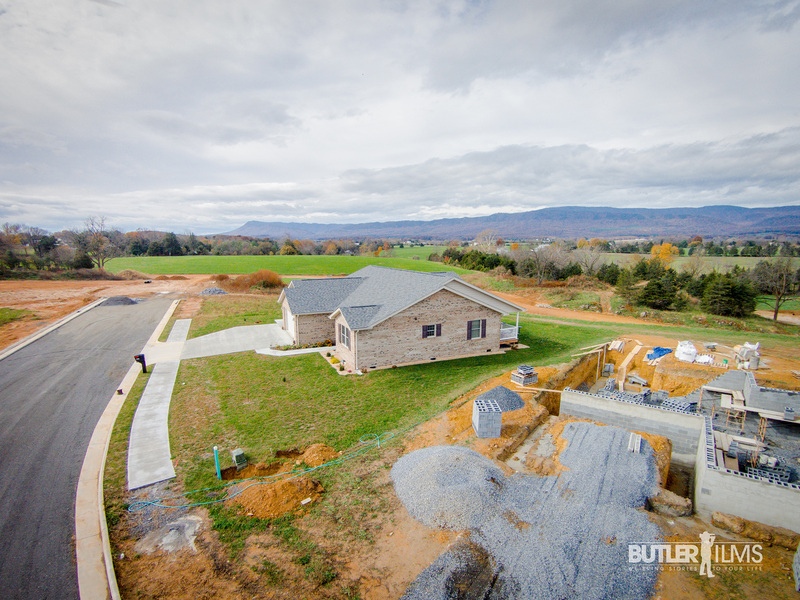 Lot 8, 6203 sq. ft. Lot 9, 5883 sq. ft. Lot 10, 6758 sq. ft. Lot 11, 5999 sq. ft. Lot 12, 6878 sq. ft. Lot 13, 15462 sq. ft. 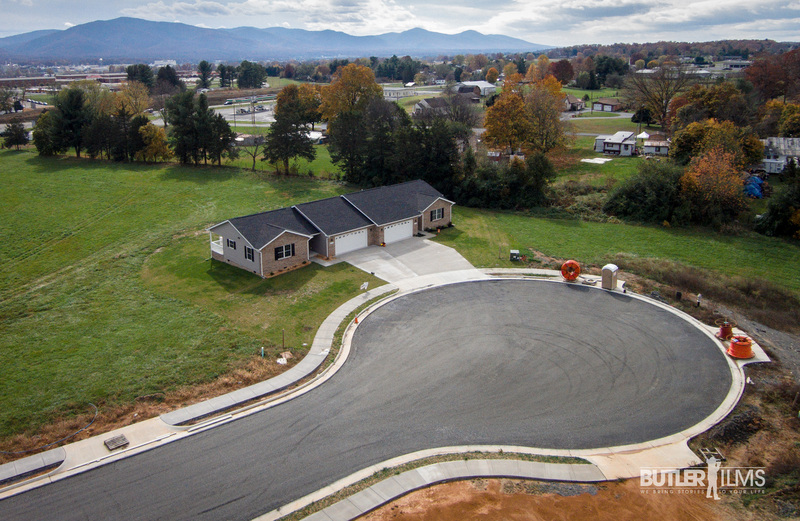 Lot 14, 9407 sq. ft. Lot 15, 6501 sq. ft. Lot 16, 6991 sq. ft. Lot 17, 7014 sq. ft. Lot 18, 6788 sq. ft. Lot 19, 6562 sq. ft. Lot 20, 6336 sq. ft. Lot 21, 6060 sq. ft. 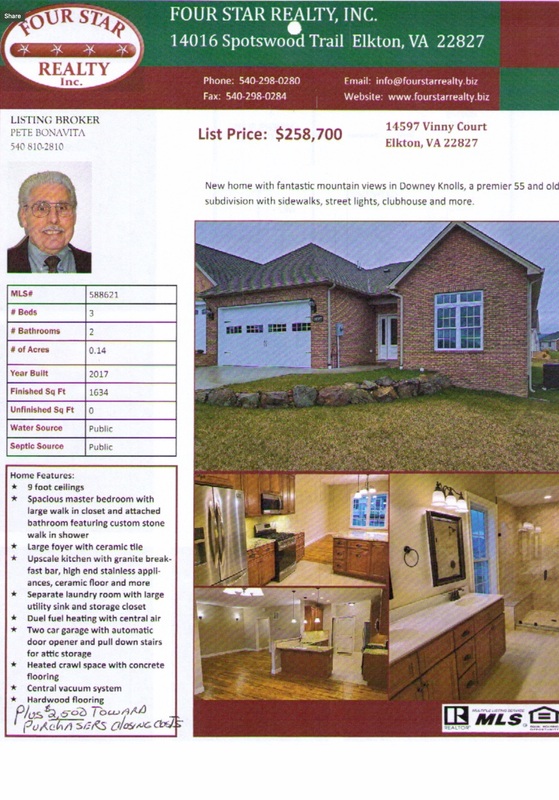 Lot 22, 6404 sq. ft. Lot 23, 7824 sq. ft. Lot 24, 8224 sq. ft. Lot 25, 6276 sq. ft. Lot 26, 6280 sq. ft. Lot 27, 6274 sq. ft. Lot 28, 6296 sq. ft. Lot 29, 6317 sq. ft. Lot 30, 6317 sq. ft. Lot 31, 6317 sq. ft. Lot 32, 6648 sq. ft. Lot 33, 12,018 sq. ft. Lot 34, 18,463 sq. ft. Lot 35, 17,896 sq. ft. Lot 36, 14,846 sq. ft. Lot 37, 12,131 sq. ft. Lot 38, 9,494 sq. ft. Lot 54, 6742 sq. ft. Lot 55, 6300 sq. ft. Lot 56, 9698 sq. ft. Lot 73, 8363 sq. ft. Lot 74, 7488 sq. ft. Lot 57, 7038 sq. ft. Lot 58, 6300 sq. ft. Lot 59, 6300 sq. ft. Lot 60, 6742 sq. ft. Lot 61, 7191 sq. ft. Lot 62, 6300 sq. ft. Lot 63, 6300 sq. ft. Lot 64, 6741 sq. ft. Lot 39, 8876 sq. ft. Lot 40, 9493 sq. ft. Lot 41, 12,459 sq. ft. Lot 42, 18,734 sq. ft. Lot 43, 6953 sq. ft. Lot 44, 8560 sq. ft. Lot 45, 8406 sq. ft. Lot 46, 8246 sq. ft. Lot 47, 8085 sq. ft. Lot 48, 7925 sq. ft. Lot 49, 7764 sq. ft. Lot 50, 7604 sq. ft. Lot 51, 7443 sq. ft. Lot 52, 7283 sq. ft. Lot 53, 7123 sq. ft. Lot 75, 6300 sq. ft. Lot 76, 6300 sq. ft. Lot 65, 6741 sq. ft. Lot 66, 6300 sq. ft. Lot 67, 6300 sq. ft. Lot 68, 7191 sq. ft. Lot 69, 6544 sq. ft. Lot 70, 6750 sq. ft. Lot 71, 6750 sq. ft. Lot 72, 6487 sq. 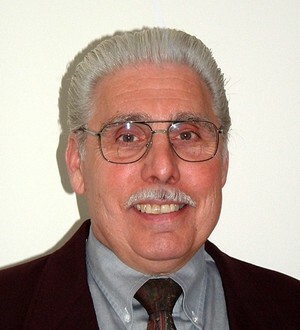 ft.
Ciro’s Italian Eatery, click here to visit them online. 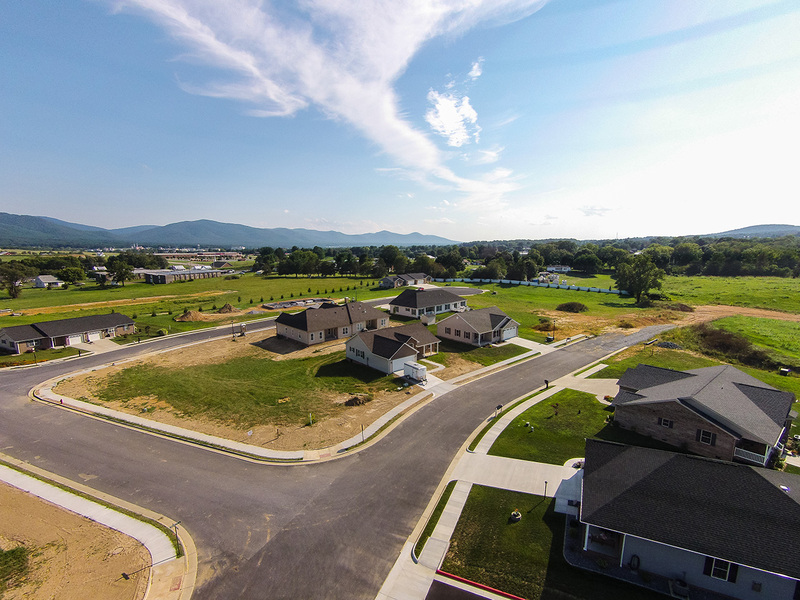 The first 55+ Active Adult Community with Clubhouse, walking trail, picnic pavilion, RV parking, sidewalks, colonial street lights – all in a Golf Cart approved development that adjoins the new Elkton Plaza West with 18 commercial lots with access to an existing shopping center.